Nick, what on earth are you talking about!? Existentialism is a subject that has defied any single explanation, not least because its origins are in the works of a diverse range of thinkers who have disagreed with each other across centuries, languages, borders and professions more than they have agreed! Fight Club, The Matrix, The Unbearable Lightness of Being, Blade Runner, even The Dark Knight. There’s something there I need to understand; I’m just not sure what! So what on earth am I talking about? What does it have to do with coaching? And why do we already need a third way? Well, I’ll start by saying how delighted I am to see that existential coaching is finally beginning to be recognised with the first book on the subject published in 20121. Having previously made fleeting appearances in books that scan the horizon of coaching psychology, it now has voice and, like Hamlet (perhaps the ultimate existentialist) it can eloquently make its case – to be or not to be, that is the question. Does this approach to coaching need to exist? Does it offer us something new? Yet despite its being a relatively new approach in coaching, I believe it is at a critical stage of its development. It seems to me that it is currently being pulled in opposing directions by two camps which has left it misunderstood and seldom adopted by mainstream coaches. Van Deurzen’s and Hanaway’s progressive book, however, offers great hope. But before we explore these two approaches, we first need to ask: what is existential coaching? But what is the human condition? Existentialism concerns itself with what we actually experience rather than what we can conceive. In other words, we may be able to conceive of an afterlife but we don’t experience it in this life so it is of no concern; we may be able to conceive of fate but we have no proof that there is a preordained plan, only an interpretation of what we see. Existentialism, then, is concerned not with what might be, but what we experience as living beings and how we respond to it in the here and now. The human condition that existentialism refers to is not particularly surprising (we experience the world through our senses, we are situated temporally and physically, we are born and die, we experience emotions, we have a sense of self, and so on). Rather, it is in exploring the consequences of these conditions, the awareness of which leads to our human struggle, that we find its importance to coaching. Given the constraints of this article, we can’t explore all of the things that make us human but it’s fair to say that each has its role to play in how we respond to the world. However, there are some core existential conditions which could be described as key drivers, and which are extremely useful to explore in the context of someone’s behaviours, thinking and emotional response. We all die. And we all become conscious of death and our own future death. Death both gives and takes away. With one hand, it gives our time alive a sense of significance, as highlighted in the speech given by Steve Jobs in his famous Stanford University talk. Yet it also seems to make a mockery of the actions we take in life by always being the final destination no matter how much success, love, creativity or anything else a person has. There is a sense that meaning is in flux and we pin things down in our mind only in the most transitory fashion. At a more existential level, most people have questioned their life in general and wondered what it’s for. in Jerry Maguire is the ultimate deluded cry of the impossible aim to overcome existential isolation. whilst more joyfully and playfully Susan Jeffers’ classic book Feel the Fear and Do It Anyway is an existential response to the condition of choice and freedom. Often called the Absurd in existential thought, blind chance confronts our expectations of order on a daily basis. Chance can make our plans seem futile at any time or put opportunity in our path we neither deserve nor know what to do with. The need for things to make sense is demonstrated time and again by the stories we tell in novels and films. When was the last time you watched a film in which the plot came to an abrupt and unresolved end by an entirely unrelated incident? We’d feel cheated and we expect life to be the same. 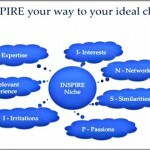 Although not limited to these five, as I have already mentioned, these core existential conditions become fertile ground for exploration in coaching and often offer a new way to explore a client’s concerns. So how has this shown up in coaching literature to date? 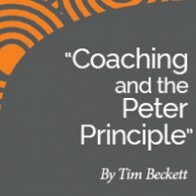 I believe it is useful to describe what I perceive to be two strands of thinking that have pulled existential coaching in opposite directions, with each missing the real strength and uniqueness that it offers practising coaches. The first approach – let’s call it the academic strand3– has emerged from the practice of existential psychotherapy and brings with it a strong focus on theory, with particular reference to the phenomenological method of Edmund Husserl and the works of Martin Heidegger. To my mind, this strand has led to an overly theoretical approach to existential coaching, steeping it in the obtuse language of existential philosophy, alongside exhortations to consider Martin Buber’s concepts of I-It and I-Thou in the coaching relationship, and descriptions of the coaching approach with labels such as bracketing and horizontalisation for things which most coaches do naturally; namely, suspending judgment and avoiding leading the client with one’s own assumptions of priority. As useful as this approach has been in offering a technical language to discuss existential theory amongst peers, it has done little to make it an approach that lends itself to coaches outside the academic world. What does it mean in practical terms, for instance, to assume an I-Thou relationship in coaching and why burden it with such quasi-religious language? It is in this somewhat slavish adherence to the language of past existential thinkers and practitioners that this school of thought has allowed its predilection for intellectual heritage to outweigh its responsibility to communicate how existentialism can inform coaching at a practical level. And as interesting to me as they are, the fact is that to practise existential coaching, you do not need to have read all of Nietzsche’s works or ploughed through Heidegger’s Being and Time. For existential coaching to be truly accessible, this rather literary and intellectual obsession has to come to an end in favour of an understanding of the underlying principles that really matter and how they show up in real life. And so the second approach – let’s call it the pragmatic strand4 – is refreshing at first. It communicates the essentials of existentialism but is unconcerned by the dogma, the obscurantist language, the wordy descriptions of the phenomenological process and the endless names of writers long dead. Instead, it strips existentialism down to its bare bones and turns it into a series of simple principles to guide both the coach and the client. Now, you might think that given my earlier statement that we should focus on principles, I’d be singing its praises. But the problem is that rather than focusing on the core principles that make existentialism important in understanding our responses, it simply creates a series of exhortations of how to be and so has created a caricature of existentialism. The profound depth of this approach to exploring the human psyche is lost to sound bites. Of course, it’s understandable that, in the face of the academic strand, there was a counter approach which sought to boil existential coaching down to something we can do. But I believe this misses the point. Existential coaching is not about offering a ten-step manifesto for how to be, as we see in Peltier. It’s about something much more. At this point, let me just say that I understand that both strands are important, necessary and insightful. This is not a rip-roaring, barnstorming attack on both sides of the debate to show what a revolutionary idea can be found right here! Rather, I believe that we are all of us working together to explore a new, more profound approach to coaching that looks beyond the traditional performance model that, even now, is still prevalent. And I think that’s where van Deurzen and Hanaway, along with their contributors, got it right with their book, Existential Perspectives on Coaching. 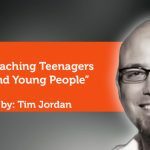 In putting together this book, they made a very real attempt to join the theoretical underpinning together with the practical day-to-day experience of coaching. This brings us to the third way – a genuine coming together of the richness of existential exploration with the simple, self-reflective power of coaching. For existential coaching to make the impact it is capable of in the world of coaching, it needs to shake off the yoke of its intellectual history and communicate the humane and very real issues with which it contends. But it must avoid becoming merely a series of pithy statements, remembering always that it is the client’s experience that matters not the rule book of existential living. To explore a coaching issue existentially is to understand the relationship that the presenting problem has to the human condition to which it is a response, and to remain focused on enabling a change of perspective that allows the client to move past their current challenge. For instance, how is a client’s procrastination around something that seems to matter to her a failure to remember that life comes to an end? How is a client’s need to be unconditionally loved by his partner an attempt to deal with existential rather than interpersonal isolation? (And the solutions are very different things.) How is someone’s lethargy simply a part of their fear of taking responsibility for their life? In most cases, existential issues will be disguised by a behaviour that might be encountered in any given coaching session. Often, the issue might appear to be simple and yet the client remains stuck or unable to choose, fearful of acting or trapped in an interpretation of who they are as a person. And the seemingly simple issue that just needed space to consider becomes a sign that something bigger is at stake, something that at some level speaks to the client of their essential humanness – their frailty, their impermanence, their need to define themselves for themselves. 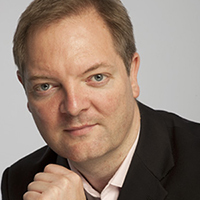 Unlike much coaching which remains focused almost exclusively on the solution or on tasks to move from the current state to the outcome, existential coaching begins to create a shift in the perception the client holds of their life overall. In other words, it offers a transformational change that enables a person to alter the way they relate to the very act of being alive, to the fact of their existence. What is the point of all this? ; How can that have happened? ; What kind of person do I want to be? And just as a volcano reshapes the Earth’s crust for good, so the client’s world will never be the same again. Traditionally this has been the stomping ground of the psychotherapist but there is no obvious reason why this should be there domain exclusively. It is possible to be perfectly well functioning, effective and emotionally healthy yet still be confronting the core issues of existence and desirous of finding a new way to relate to your life. My approach to coaching existentially, although grounded in complex and weighty philosophy is, at a practice level, simple, unadorned and open. I listen to client’s narrative, their personal construct of their experience and listen deeply for the patterns, assumptions, beliefs, values and so on that underlie it. I notice and tease out the paradoxes and inconsistencies which, for me, are often the door into the deeper level of struggle. Finally I reflect, gently hypothesize without attachment to its truth or otherwise and continue to question to surface taken-for-granted meanings. As we explore these underpinning concepts to the client’s challenge, we start to explore how they relate to the bigger givens of being human as mentioned above with a particular reference to how they relate to the given. In other words, as a coach I don’t bring any set of assumptions about what is the right or wrong belief or approach to something like meaning, purpose, choice despite having, of course, my own set of assumptions. Rather I bracket off my own assumptions to explore what it is to be this person, my client, in relation to the core conditions of being human. What is their relationship to choice, to time, to mortality, to uncertainty and so on that is either supporting them in this situation or holding them back. How, for instance, is their need for creating certainty hindering their ability to makes choices when the consequences are unknown. And how might a new relationship to uncertainty enable them to make the bog choices in life they are avoiding. This particular issue is one I encounter time and again as a coach – clients struggle to choose for fear of getting it wrong. As you can see from this, there is an obvious and almost constant interplay between the presenting issue in coaching and a deeper underlying structure of belief around existential themes. Rarely have clients considered their issue in this light but when we direct our attention to this as a collaborative coaching pair, in my experience, it pays off profoundly in a new understanding of where their stuckness is coming from. As I probe and tease out these issues, I have found that a more emergent style of change has become my dominant approach with little active action agreement taking place and rather a focus on how the new realisations and considerations may reveal themselves. 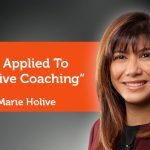 I believe that as coaching spreads further into all aspects of life and reshapes the landscape of personal change, it will become ever more accepted that coaching offers a new way for people to explore their deeper desires to be happy, more purposeful and more authentic. And I believe that existential coaching offers a new way to achieve this. Although existential coaching has received attention previously, van Deurzen and Hanaway’s book, Existential Perspectives on Coaching is the first to focus exclusively on this developing area of work. The description of existential work in this sections owes much to the work of Irvin Yalom and his identification of the four core conditions that challenge our sense of wellbeing, namely death, meaninglessness, freedom, isolation. Other writers identify more but Yalom’s contention is that all concerns emerge from these four basic conditions of existence. This academic approach to existentialism is best seen in the writings of Professor Ernesto Spinelli of Regent’s College School of Psychotherapy and Counselling Psychology. This pragmatic approach to existentialism is most powerfully made by Bruce Peltier in his overview of coaching psychology. Peltier has been unfairly criticised for his treatment of individuality in existentialism and a fair reading of his chapter demonstrates he understands very well the core issues and that he is trying to make it practicable.